The New Holland C Series features well proven 6.7 litre FPT Industrial engines with common rail injection that brings more performance and cuts fuel consumption by 10%. The incremental power delivered by the engine results in increased reactivity to load changes and high torque growth for constant performance and increased pulling capacity. With New Holland dozers, customers can push more material in less time! 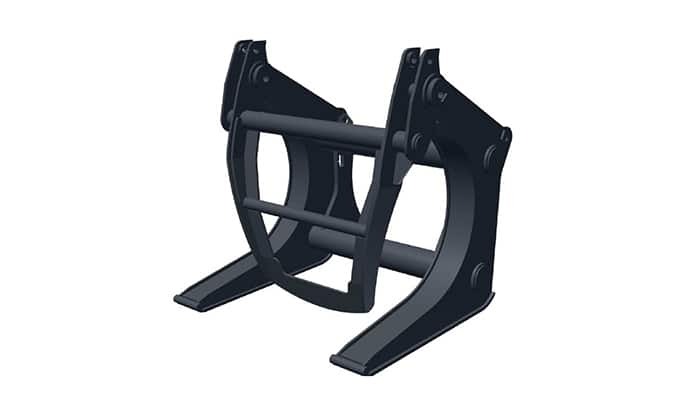 The C Series leads the industry with best-in-class drawbar pull - up to 372 kN for the D180C model. The hydrostatic transmission automatically adapts the speed to the effort, ensuring the best performance is maintained. Thanks to the triple reduction final drive, the transmission works at a faster speed reducing the overall pressure on single components. In Africa and the Middle East, working conditions can be very hot and arid, and they can have critical effects on the engine and the transmission. 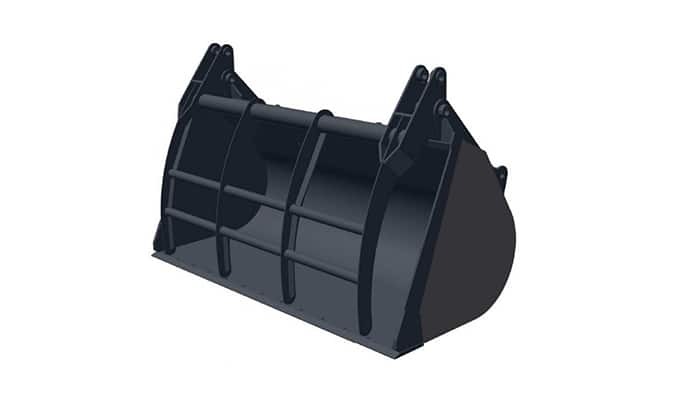 New Holland’s solution is a “V-shaped” cooling package, available for the D150C and D180C models. Designed to increase the cooling surface, it includes a hydrostatic reversible fan that adapts its speed to the real cooling demand. In the reversing mode, the fan cleans the coolers more effectively, reducing maintenance needs and keeping high performance even in very dusty conditions. The hydrostatic transmission provides power with the right amount of torque for every job. The cooling layout ensures perfect cooling even in the hottest climate. The counter-rotation of the tracks enables the machine to turn easily in tight spaces. The range of tracks and the blade configurations offer the solution for every customer need. In all conditions New Holland dozers are ready to perform at their best! New Holland designed the operator compartment for more comfort and productivity. The cab is placed forward for accurate blade visibility and improved machine stability. Thanks to the two control joysticks with integrated advanced electronic functions, the driver can focus on the job and operate the machine with precision and less fatigue. Every part of the machine can be fully accessed without tilting the cab. Daily checks and maintenance are made easy with all the service points accessible at ground level. With fast serviceability, customers save time and money! The “one-piece” frame integrates all the vital dozer components, providing better accessibility and structural reliability. The undercarriage has been redesigned for even greater stability. For the toughest conditions, New Holland offers Advanced Life Tracks (ALT) that double the life of standard lubricated tracks. The “Equistatic” system for the Bull Dozer configuration distributes the pushing effort equally on the two pushing beams, increasing the blade tilt and the overall frame reliability. Electronics are at the service of precision on the C Series dozers. Both electrohydraulic and blade joysticks offer advanced features, such as the exclusive Proportional Dozer Control (PDC) function that enables the operator to modulate the machine’s movements smoothly for better grading results. The dozers can be ordered Laser or GPS guidance ready, with the most appropriate blade configuration and the customer’s preferred guidance system. Positive outlook. In Africa and in the Middle East the overall outlook for the dozer segment is positive, with an expected growth of +5% compared to 2013. The African markets will see an increase in volumes in 2014. The importance of a full product offering. Dozers are a key equipment in construction activities, especially in road building, mining operations and infrastructural works. Having a full product line that includes dozers is essential to answer the needs of these booming segments in Africa and the Middle East. C Series dozers are robust, powerful and reliable units that deliver best-in-class drawbar pull and productivity in every working condition that can be found in Africa and the Middle East. The hydrostatic transmission and the ease of maintenance make the new dozers well suited for the needs of these markets. New opportunities. The C Series dozers extend New Holland product line-up in Africa and the Middle East. It could turn into a big opportunity to expand the customer base in the road building, mining and infrastructural construction segments with potential positive effects on the sales of other equipment such as New Holland graders. The New Holland L213 and L215 models now come with an upgraded 2.2 litres engine displacement and deliver more power than ever before: 49 hp (37kW) in the L213 and 60 hp (45kW) in the L215. New Holland skid steer loaders stand out from competition and offer the bestin- class peak torque in the L215 model. Both L213 and L215 models deliver more pushing power and reliability thanks to the new small frame loader arm stops on the loader arm. New Holland non-pneumatic tyres, now available for the L213 and L215 models, are far long-lasting and more resistant. They increase the stability and the lift capacity of the machine. In addition, they provide excellent traction even on dirt, sand, mud and gravel operations. The hydraulic coupler, now offered on the L213 and L215 models, allows to change attachments without getting off the cab. The new position of the front door wiper significantly increases the cleaned area, further improving the already excellent visibility. A new heavy duty package is available on larger models. It includes a fabricated tilting steel hood, cast iron covers for the saddle tank and fiberglass protections for the rear lights. The new High Beam Light Kit provides supplemental forward lighting for faster traveling in low light conditions. The fenders DIA Kit helps to keep the side windows clean when working in muddy terrains. The skid steer loaders segment is expected to grow in the African market. New Holland is a major player in this segment and with these upgrades the company intends to further consolidate its position in both Africa and the Middle East. In Kenya, New Holland’s black and yellow colored the two-day Open House customer event held on February 27th and 28th at the premises of the local dealer, Achelis. MB Plant SA, the New Holland importer for South Africa attended a successful customer event on March 7, this event was hosted by BB Truck & Tractors, their appointed dealer for Limpopo region. Highlight of the day has been the handover of three New Holland Backhoe Loaders to Maruma Plant Hire, a well-established construction company in Limpopo. The high customer participation, despite the heavy rainfalls and thunderstorms, made the event a real success. Through its local dealer Le Moteur Diesel, New Holland Construction participated in BTP Expo, the International Exhibition of Materials and Equipment for Public Works, Building and Construction, held from February 26th to March 1st at the International Trade Center The Kram in Tunis, Tunisia. Staged every two years, BTP Expo is one of the most important exhibitions in the country and it is attended by the top sectoral companies and manufacturers in Tunisia. In its 310 sqm stand, Le Moteur Diesel showcased a rich selection of New Holland Construction equipment, including a B90B backhoe loader with a hammer, a W190C wheel loader and two L215 skid steer loaders, one equipped with a bucket and the other one with a brush. Le Moteur Diesel, which is also the local importer of agricultural equipment from sister company New Holland Agriculture, reinforced CNH Industrial presence at the trade show by displaying some Iveco trucks and panels dedicated to the comprehensive range of products from the Group. Constant training is crucial to add value to a competitive product offering and to deliver the best sales and after-sales support to customers. Well aware of this, New Holland Construction is strongly investing to provide high-quality training to its dealer network in Africa and the Middle East. In January 2014, the company has launched a new training path through the innovative Virtual Classroom, a result- driven tool that uses the Internet to transfer the know-how to local dealerships and help them growing in competitiveness. Basic level training sessions on the main product lines have already been delivered with insights into the wheel loader, backhoe loader, crawler excavator, grader, skid steer loader and dozer offering. So far, the online training sessions have had a strong participation and positive feedback. The Virtual Classroom has been appreciated by the participants especially for the high level of interaction with the trainers and the quality of information provided that led to very good results in the tests. Intermediate level sessions started in March and more advanced training courses will be held in May 2014. The registered sessions are available for download on www.cnh-webuniversity.com. The calendar of the training sessions is included as annex to this newsletter. New Holland has recently inaugurated a new office in Dubai, UAE, as part of the company’s effort to increase its presence in the Middle East. The new office is located in the Dubai Airport Free Zone and it affords excellent access to the entire Middle East region and beyond. “The office provides commercial, marketing and service support to our dealers and customers in the entire region,” says Dragan Krznaric, Middle East CE Business Director for CNH Industrial. The opening of the new office, in synergy with the recently-launched Pinnacle Excellence Program, extended warranty and financial services, is testament of the company’s commitment in the Middle East and the huge investments that it is making to become the point of reference for the construction equipment sector in the area. An on-going effort that will be further support by the new models and improved products that are expected to be launched in 2014 in the region. Through a growing product offering, a solid dealer network and best-in-class services, the company intends to increase its brand awareness and perception. The objective is to be closer to the dealers as well as to the end-users and, ultimately, to exceed customer expectations.